First, you should flavour the oil. So, warm it in a heavy pot and gently fry the garlic, star anis, chili and cinnamon for 5-10 minutes. Remove these and set aside. Turn the heat up a little and brown the pieces of lamb. When they are browned, put the pieces in a bowl. Reduce the heat again and gently fry the onions until opaque. Add the marjoram to the onions and stir. Stir in the garlic, star anis, chili and cinnamon, and add the tomatoes, balsamic vinegar and honey. 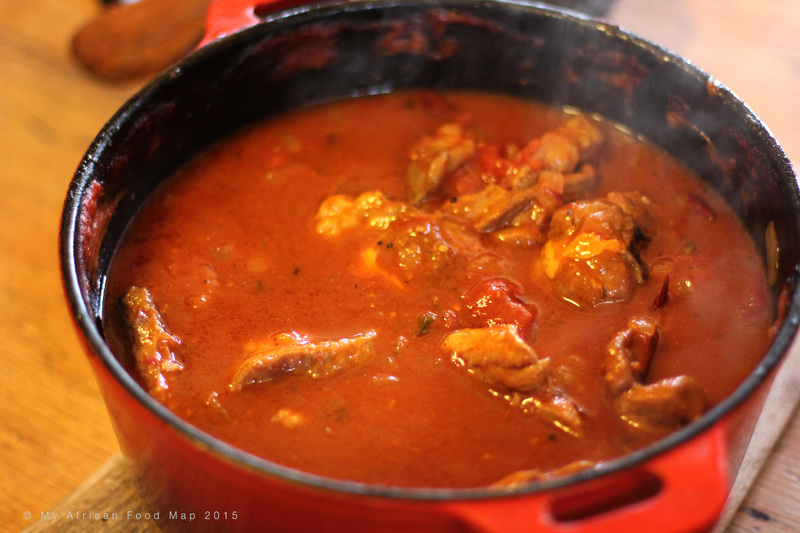 Then, add the lamb and make sure that as much of it is submerged in the sauce. Cover the pot and put it in the oven. Cook for 4 hours. When the meat is very tender, your bredie is ready to serve. Noji Gaylard is an exceptionally talented cook, friend and mother. You can reach Noji at, Noji75@gmail.com, with any questions and/or for catering requests.